Understand the true value of your content and create clearer user pathways that impact your business. Have you spent hours creating blogs or landing pages to engage with your audience? Have you spent time creating PDF docs to be easily downloaded from your website? Are you unsure if your content is eventually leading to revenue or followers? The Behaviour feature answers all these questions and more. 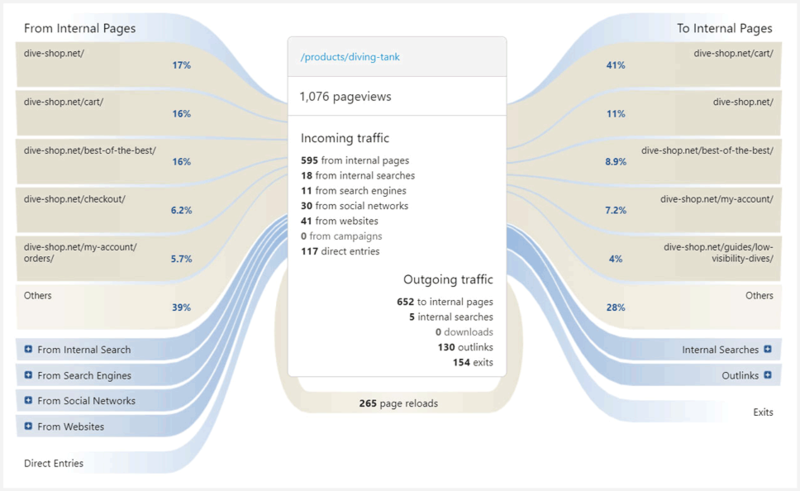 Not only can you see how popular and engaging every page on your website is, there are many visualisation options to easily interpret the data. You can track performance over time and like many other features in Matomo that come out-of-the-box after installation, there is no manual configuration to begin. This saves you time, money and gives you deeper insights, you previously wouldn’t have had, into how users are engaging with your business. Get complete insights of what pages your users engage with, what pages provide little value to your business and see the results of entry and exit pages. If important content is generating low traffic, you need to place it where it can be seen. Spend time where it matters and focus on the content that will engage with your users and see how it eventually converts them into customers. Matomo’s unique Transitions feature lets you easily visualise patterns of behaviour when it comes to entry onto a page and where they exit to. This helps you identify clearly where users may be getting distracted to click away and where other pages are creating opportunity to click-through to conversion. The great thing about Matomo is that every outlink (links that force your user to leave your site), download and site search on your website begins tracking automatically as soon as you install Matomo, without manual configuration. This saves you time and there’s no technical knowledge needed. For any other custom action you want to track, Matomo also provides Events which gives you ultimate flexibility to track just about anything. 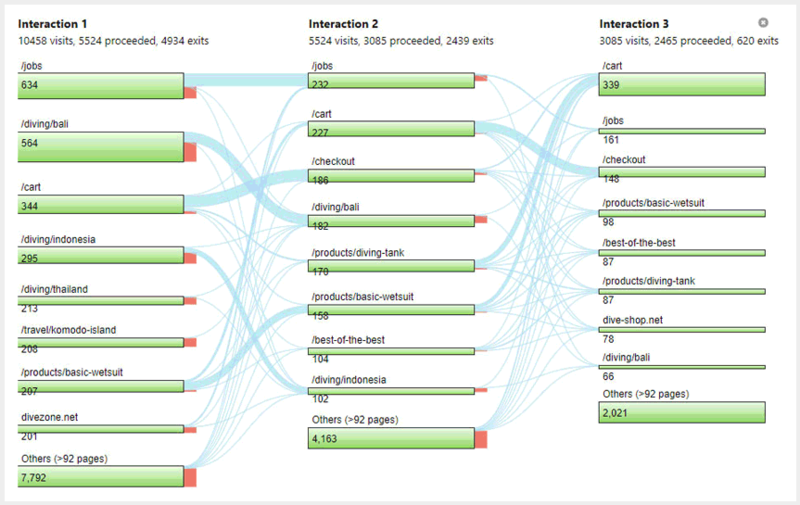 The Users Flow visualisation shows you the most popular paths your users took through your website or app. At a glance, you see how your users navigate through your website over several steps, where they exit and it lets you easily discover high drop-off pages, bugs on your website, and whether your call to actions actually work. Users Flow also provides additional reports to get the information you need even quicker to see if your users are taking the pathways you intend for them to take. You can track how performance has changed on any web page over time with the Row Evolution feature. This way you can see if there were increases or decreases for visits, actions, bounces etc. at any important time and discover what days had an impact on your business. This lets you be proactive when a negative trend occurs or you can capitialise when you see a positive response from your users. With Matomo’s Content Interactions feature you can go beyond page views, bounce rates and average time spent on page with your content. Instead you can analyse content interaction rates based on mouse clicking, scrolling or hovering behaviours to see precisely how engaged your users are. If interaction rates are low, perhaps you need to restructure your page layout to grab your user’s attention sooner. Possibly you will get more interaction when you have more images or banner ads to other areas of your business. 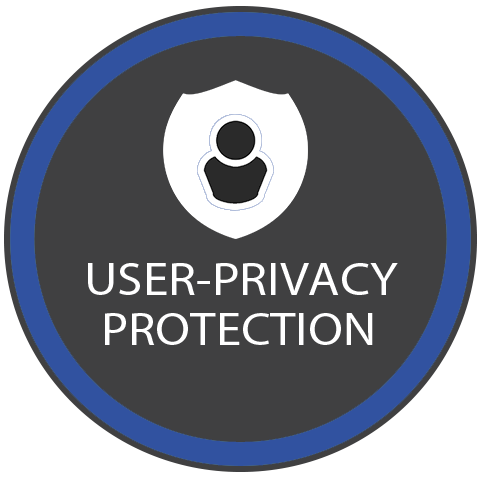 Understand the full behavioural patterns of any individual user from any page on your website you want to analyse. Also see the path that led them to take action, where they may have got lost, and how visitors engage with your business over time. There is no better way to evaluate the full user journey of anyone who visits your website. You are the owner of the data you collect and nobody else. 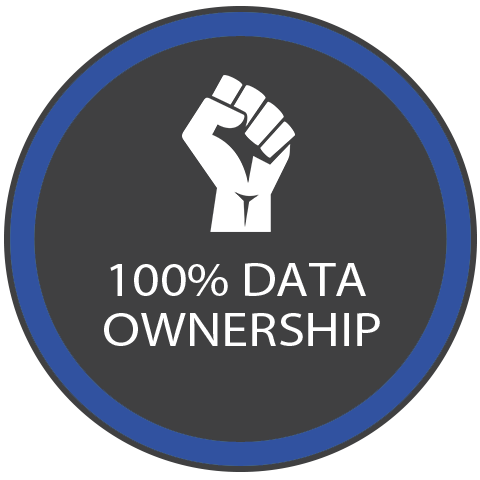 Get full control over your data. There are no limitations when using this feature On-Premise. Matomo is fully privacy compliant. 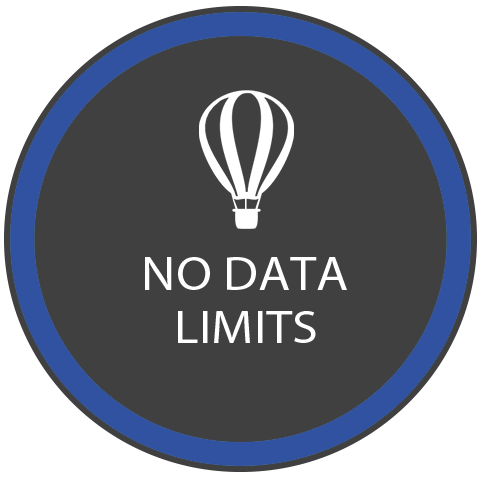 With Matomo you remain in control of your data, while still getting deep insights into your websites and apps. You need to be sure you are investing your time into creating content that connects with your audience and leads them on a path to conversion. By learning about the content and pathways your users take, you can make proactive decisions which will have great financial benefits for your business. See how your users are behaving now. Start your 30-day free trial today to use Matomo’s full suite of complete analytics. Or are you wanting to learn more about using Behaviour for Matomo On-Premise instead?